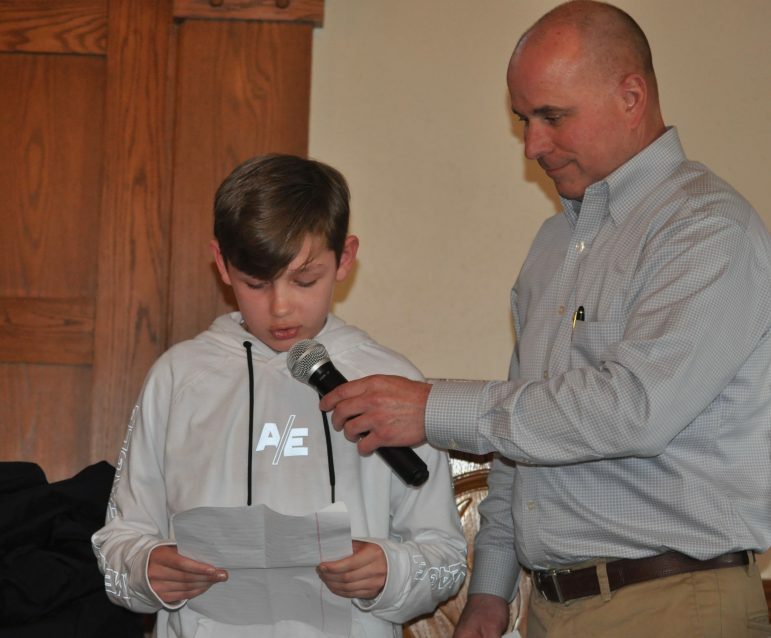 Sixth-grader Aiden Grogg read remarks in which he thanked his coaches at the wrestling banquet Sunday. Holding the microphone for him is Saucon Valley Wrestling Club President David Spirk. 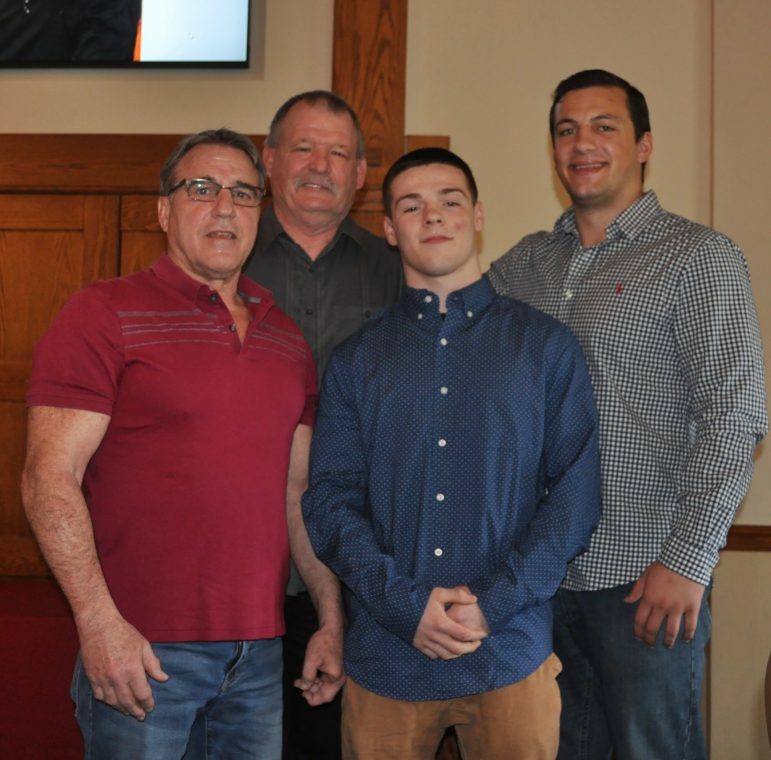 Another tremendous season was celebrated and the future dreams of those who aspire to achieve the success of a wrestler like Saucon’s Josh Jones were stoked at Sunday’s 2019 Saucon Valley Wrestling Banquet at Steel Club. 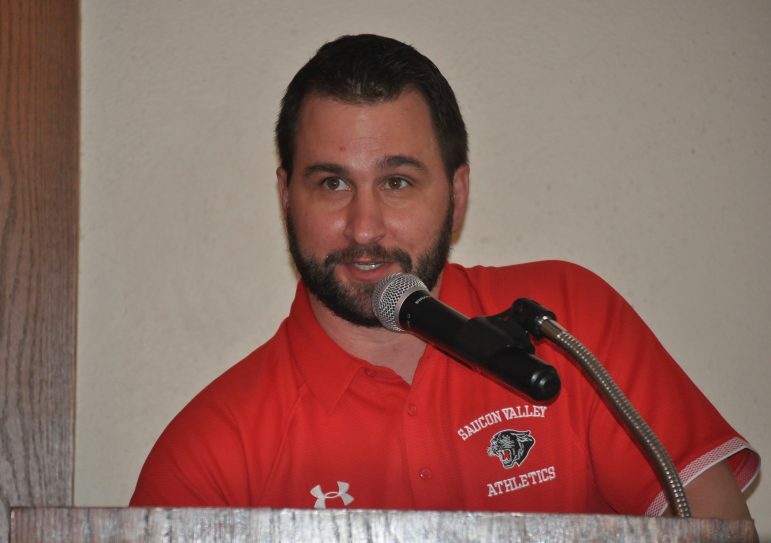 Saucon Valley Wrestling Club President David Spirk was the emcee for the event, which was attended by Saucon Valley High School, middle school and youth wrestlers, along with their families, coaches and supporters. Spirk exhorted the boys to always “work hard” and “be good examples,” even when there is temptation not to do those things. 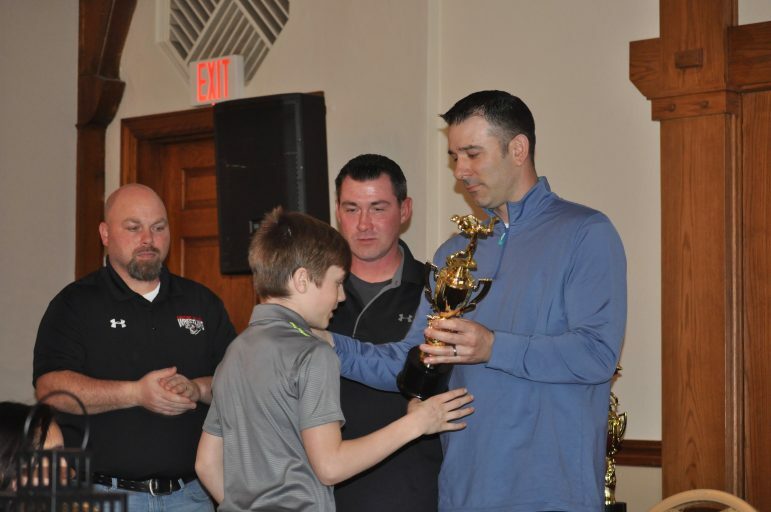 Youth wrestling head coach Ben Chunko commended his wrestlers for “another great year” in which they achieved an overall record of 12-3 and went undefeated in their division. Saucon youth wrestlers also won their division for the fifth year in a row. Middle school wrestling under the direction of head coach Andy Koch and high school wrestling also celebrated great seasons at the banquet. 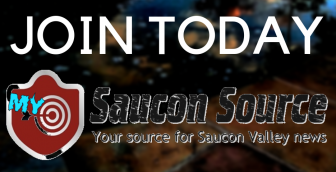 “This is one of the best groups of kids that I’ve ever had the privilege of coaching,” said high school head coach Chad Shirk, noting that the 2018-2019 high school team won Saucon Valley’s fourth district title in four years. 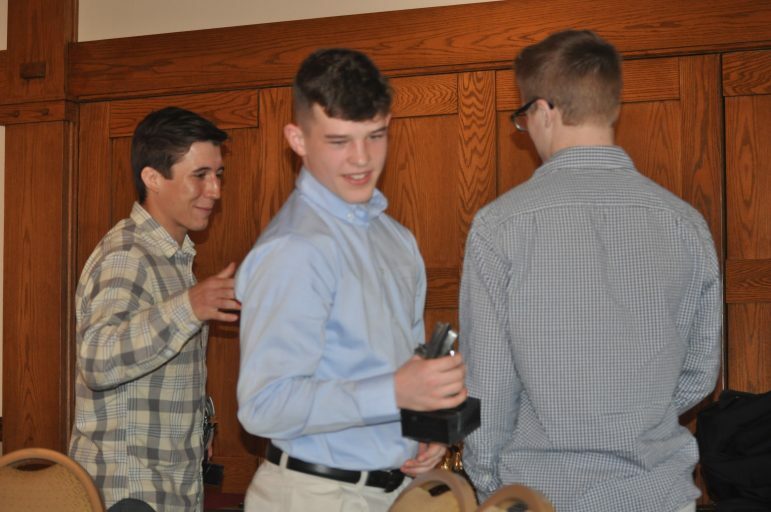 Rookie of the Year awards went to freshmen Cael Markle, Ty Csencsits and Chris Arciuolo. The Most Improved award went to senior Nick Rosengrant. 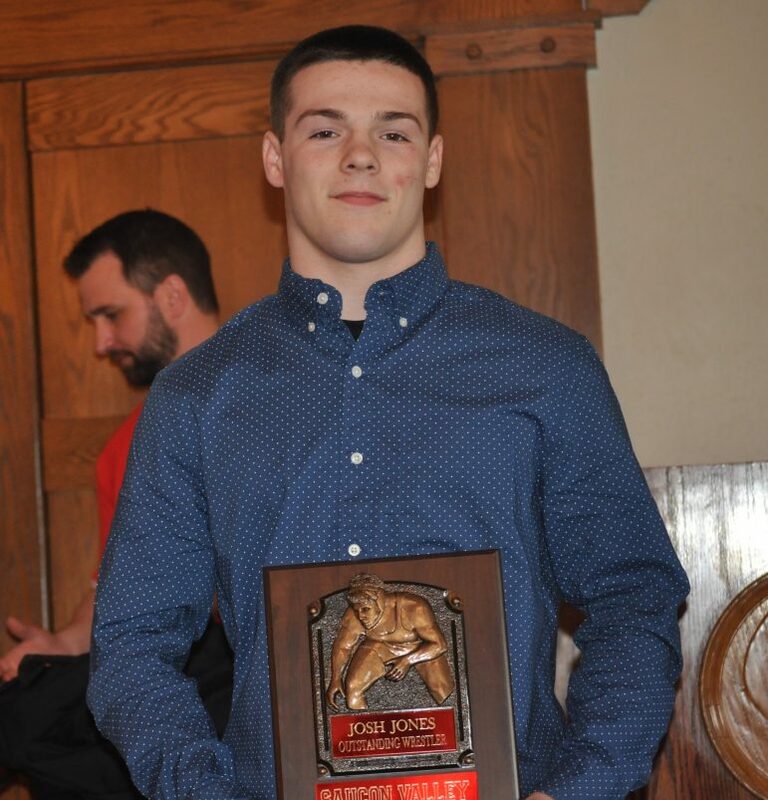 Shirk praised Jones’ character, work ethic and ability to rebound from “heartbreaking” losses, all of which he said helped Jones bring home a gold medal from this year’s PIAA state wrestling championship last month. 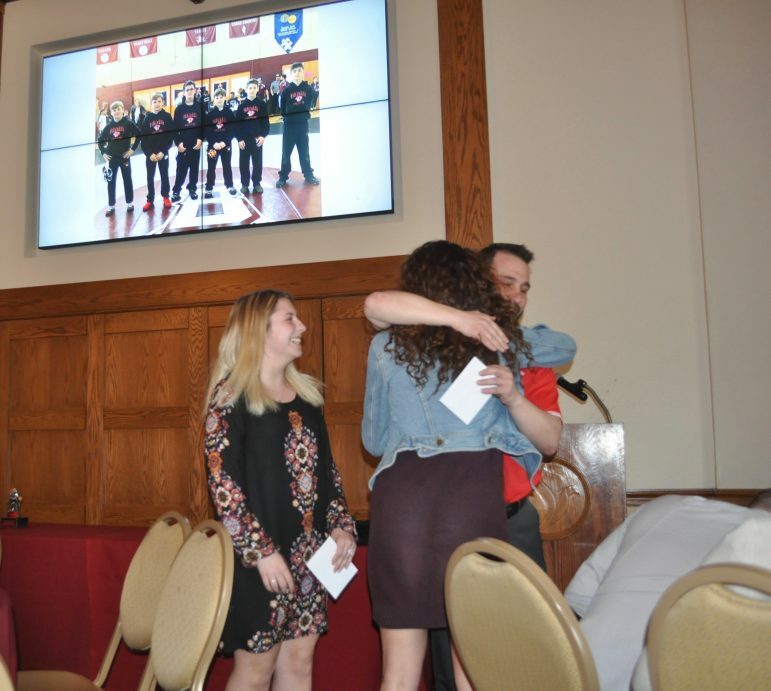 The 2019 Mom “WOW” Spirit award–like the Rookie of the Year award–recognized a team trifecta: co-manager Lauren Polak and seniors Jarrett Hirschbeck and Josh Jones. 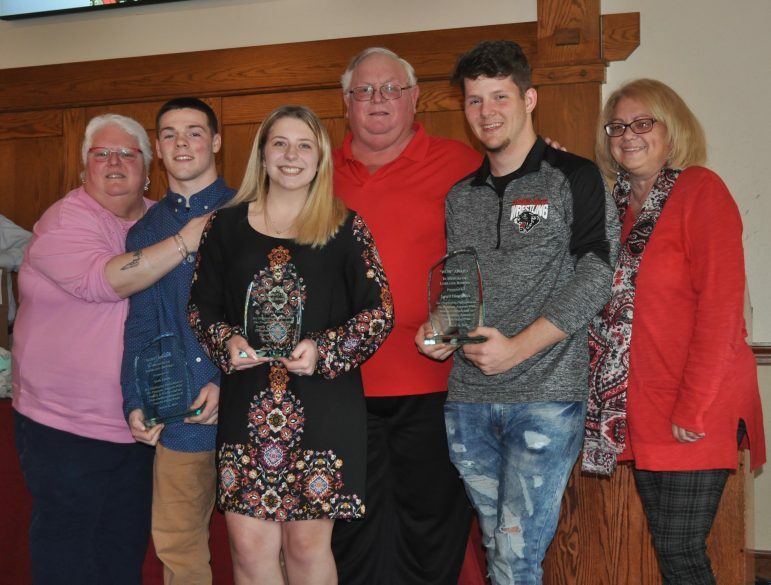 Given in honor of legendary Saucon wrestling superfan Lorraine “Mom ‘WOW'” Bowers, the spirit award is presented annually by her children: Saucon wrestling scorekeeper Cathy Leibensperger (with husband Walter), Curt Bowers and Mary Sue Ricker. The name “WOW” originated from a tattoo Lorraine got one year on a dare from the wrestling team. Written upside down, “wow” spells out “mom,” and that was the word Lorraine saw whenever she looked down at it. It was also how she felt about her role as a devoted Saucon wrestling fan for 42 years, Cathy said. The guest speaker at Sunday’s banquet was Lehigh All-American wrestler Nate Brown. 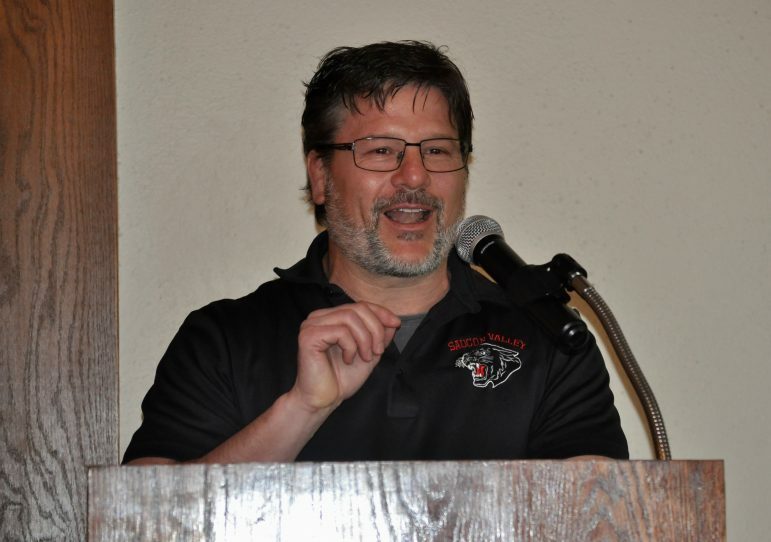 Also recognized at the event were the parents and volunteers who contributed to help make the 2018-2019 Saucon Valley wrestling season a big success. 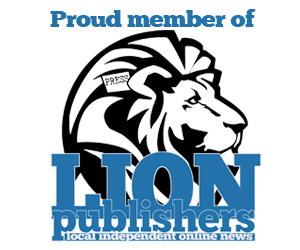 Cathy Leibensperger, Josh Jones, Lauren Polak, Curt Bowers, Jarrett Hirschbeck and Mary Sue Ricker. 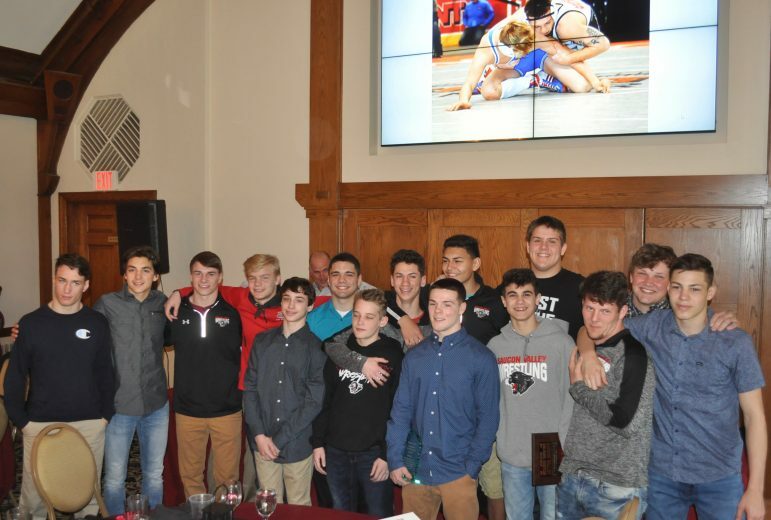 The 2018-2019 Saucon Valley High School wrestling team won Saucon Valley’s fourth district title in a row. Saucon Valley state champs Don Rohn, Gary Albright, Josh Jones and Ray O’Donnell. Mom “WOW” Spirit Award winners Laren Polak, Josh Jones and Jarrett Hirschbeck. Panther wrestling managers Lauren Polak and Emma Rohn after being recognized by Head Coach Chad Shirk. 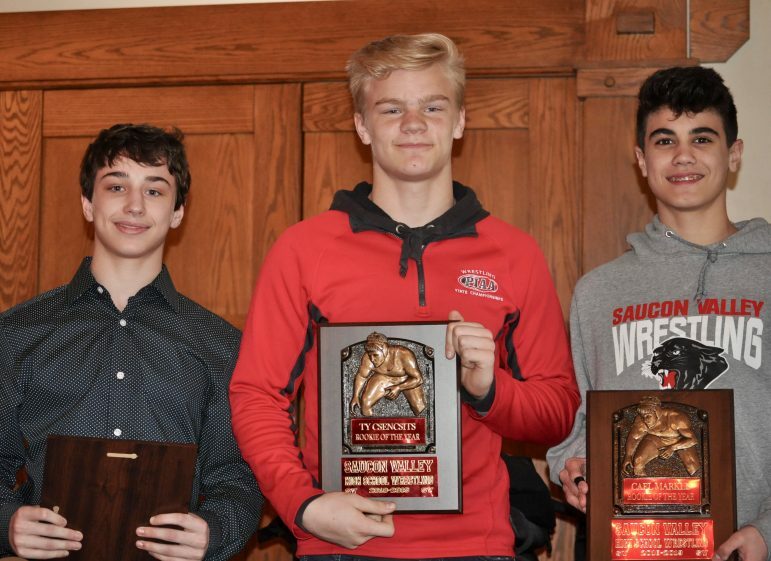 Saucon senior Josh Jones was named Most Outstanding Wrestler for 2019. 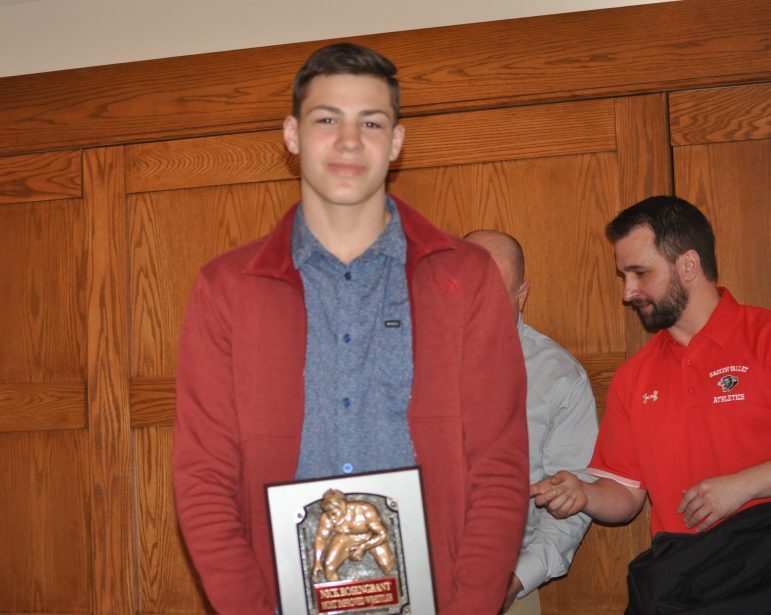 Nick Rosengrant was named Most Improved wrestler for the 2019 season. 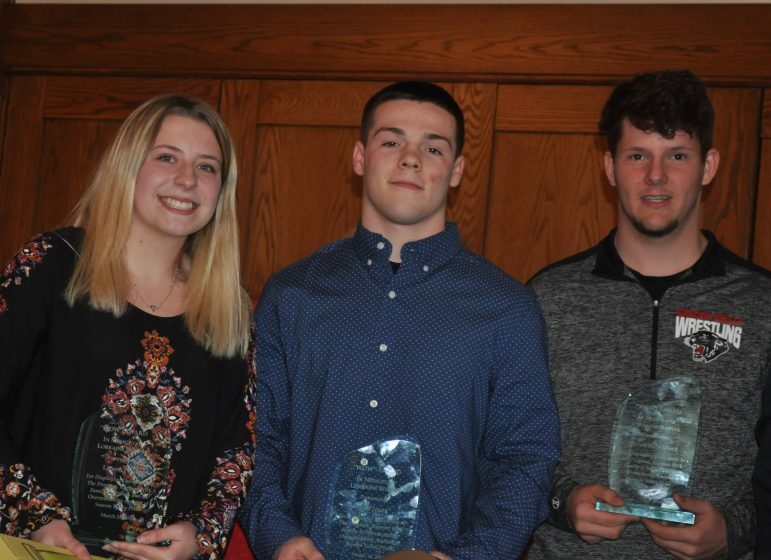 Chris Arciuolo, Ty Csencsits and Cael Markle were named Saucon’s 2019 Rookies of the Year. Middle School Wrestling Head Coach Andy Koch. Assistant youth wresting coaches recognized Jackson Albert as being their Most Improved wrestler in 2019. 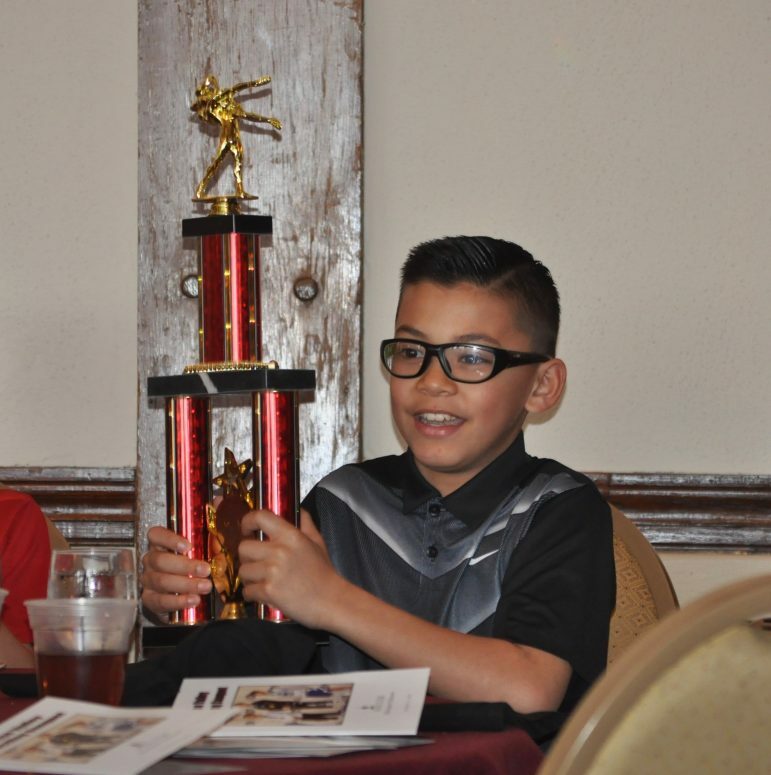 Youth wrestler Noah Hubert admires his trophy. 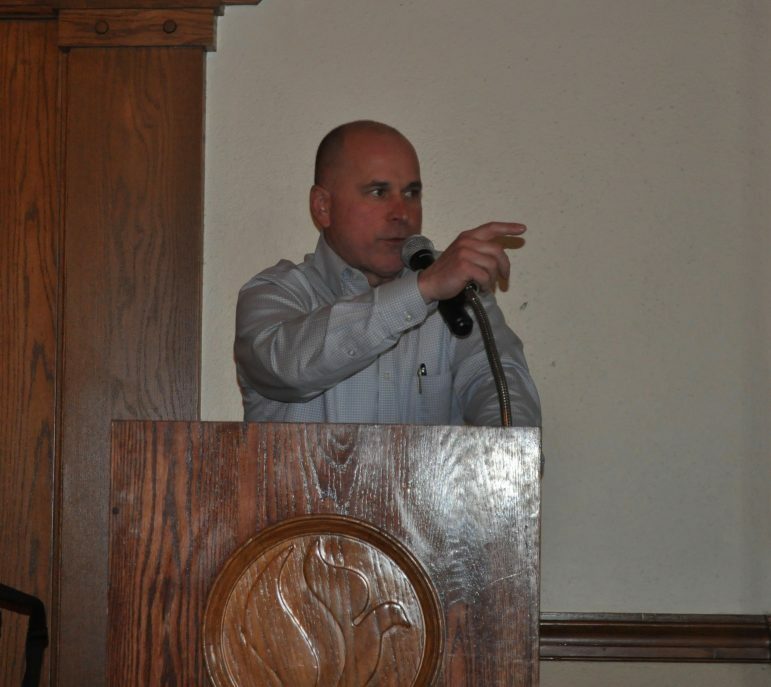 Saucon Valley Wrestling Club President and master of ceremonies at the annual banquet Dave Spirk. Jake Jones is recognized as Junior High’s Most Outstanding Wrestler, while Tyler Pfizenmayer earned the Junior High Coaches’ Award. 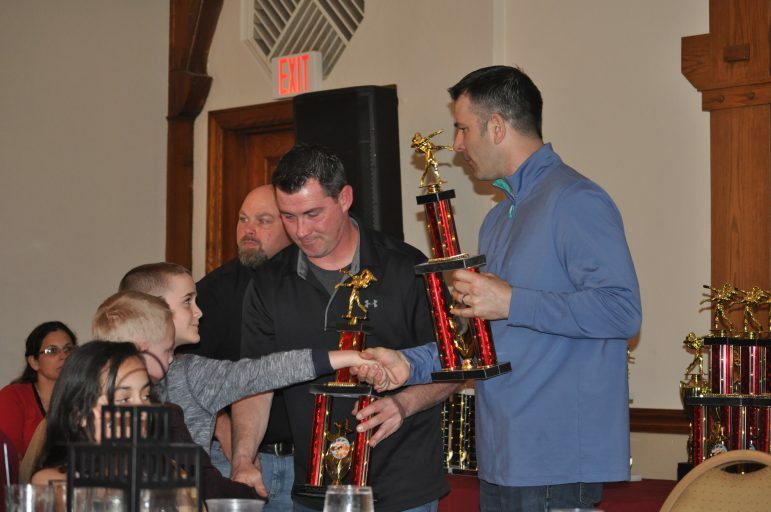 Youth wrestling coaches Rob Hubert and John Grogg distribute youth wrestling awards. 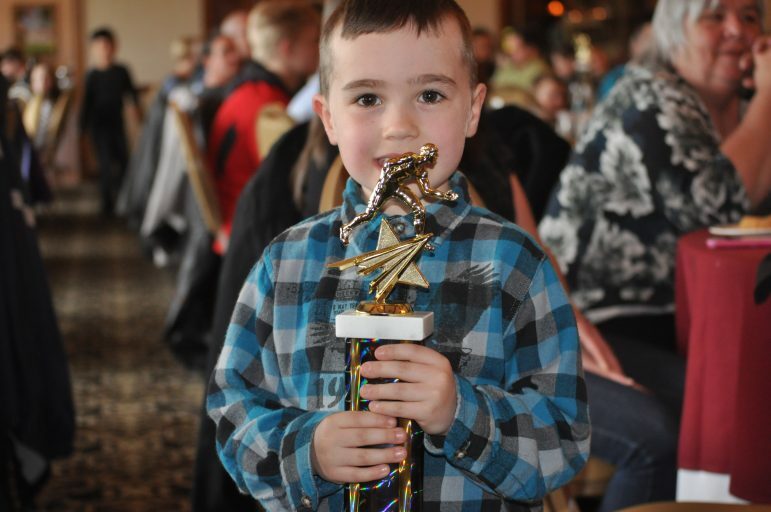 The littlest of Panthers picked up awards at the 2019 Saucon Valley Wrestling Banquet Sunday.